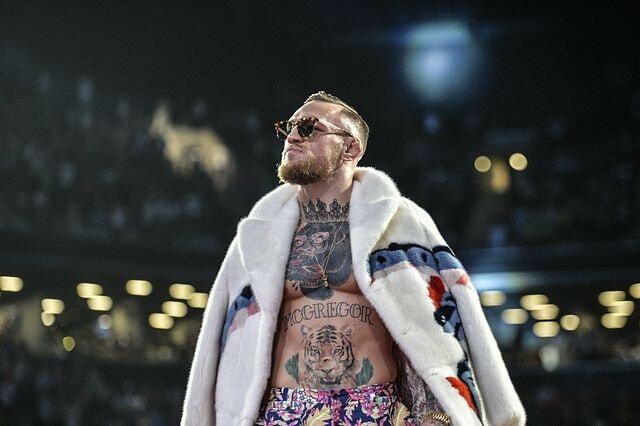 Conor McGregor raised plenty of eyebrows at UFC Brooklyn on Saturday, dominating Alexander Hernandez to finish off the televised preliminary card on ESPN. 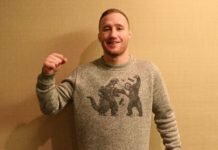 In the process, he managed to catch the attention of Conor McGregor — and perhaps earn himself the biggest payday of his career. After a thorough defeat of Alex Hernandez at UFC Brooklyn, Donald Cerrone reiterated that he was still after a fight with Conor McGregor. It’s a prospect Cerrone teased last year, hinting at a big fight after his win over Mike Perry at UFC Denver. Weeks later, rumors swirled that the fight might actually happen, but it never came to fruition. On Saturday in Brooklyn, however, Cerrone came one step closer to the biggest money fight of his career. That’s because, after Cowboy dismantled Hernandez, and reminded everyone that he is a threat to anyone in the lightweight division, McGregor spoke out. And let it be known that he was willing to take the fight. “For a fight like that Donald, I’ll fight you. Congratulations,” the former double-champ wrote after the bout. There’s no doubt that the UFC wants McGregor fighting as often as possible, seeing as how his lone appearance in 2018 — a loss to Khabib Nurmagomedov at UFC 229 — salvaged their year on PPV. 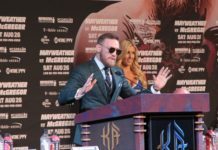 However, due to the melee that followed that fight, McGregor remains on the sidelines until a disciplinary hearing with the NSAC. 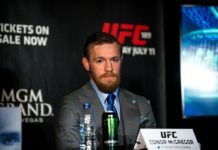 It is not, however, anticipated that McGregor will be gone long. And perhaps we now know who he’ll be facing upon his return.